How much water should a small dog drink a day? Humans need to drink enough water to remain hydrated and many say it’s two litres per day. Should Pomeranians drink a set amount too? Or do they simply drink when they’re thirsty? Many Poms drink when they’re thirsty because it’s a natural instinct. However, there are others that don’t drink enough OR drink too much water, and each of these have their inherent dangers. If you’re a new Pom parent, it’s essential that you monitor how much water for a puppy per day. If he doesn’t drink enough, dehydration can set in and that can cause kidney stones and, in the most serious cases, organ failure. If he drinks too much, it may actually be toxic. Monitoring his fluid intake can tell you if he has any health problems to be concerned about. Limiting dogs water intake is a bad practise. 1 How Much Water Should a Puppy Drink a Day? 1.3 Is your Pom sufficiently hydrated? 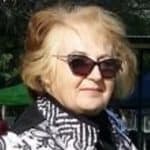 How much water should a small dog drink per day? This amount will vary according to his size, age, level of activity and the weather. A healthy guideline is one cup of water for a dog weighing 2.26 kgs or 2 cups for a dog weighing 4.53 kgs. Dogs require approximately 50 millilitres of water per one kilogram of body weight daily. 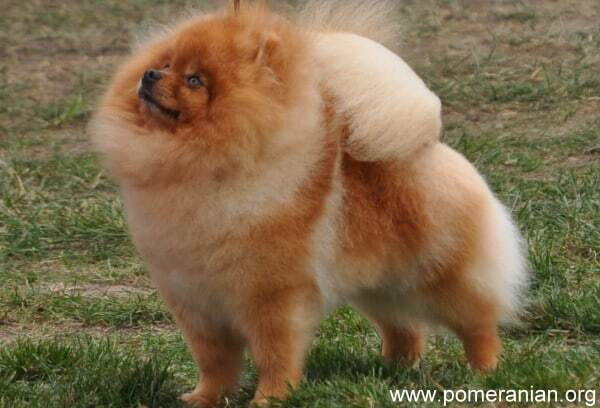 However, Pom parents usually feed their puppies food that’s very moist (raw or slightly cooked food). This means he gets some of the fluid from food so don’t stress if he is not drinking the recommended amount via his water bowl. If you’re only using dry dog food (not wise), add more water to compensate. If your puppy is small in size, he’ll need smaller amounts of water every two hours so this must be closely monitored and he may require encouragement to drink when he’s very young. Here in Australia, I’m always monitoring my Pomeranian puppy water intake, particularly if he has been for a walk or has played in the park. Don’t let him drink too much at once and if he seems to be doing that, pick him up so he can rest a bit, and then allow him more to drink. He can vomit if he drinks too much, and you don’t need that. Always have water for your Pom if you take him for a walk or out to play and give him frequent short breaks for a small drink. May have pancreatitis, parvovirus or leptospirosis. May have a different health problem. Might be doing so due to an infection in either his kidneys or bladder. He may also be drinking it while he’s swimming and/or playing. May have other medical problems. 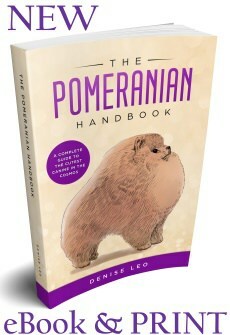 Your Pom may suffer from diabetes. An increase in thirst is an indicator. Other signs include: weight loss, a change in his appetite, fruity-smelling breath, vomiting, or a dullness or thinning out of his coat. If you don’t seek treatment for your Pom’s problems, he may get skin infections, UTIs and eye problems such as cataracts and even blindness. One in 500 dogs will contract diabetes and it’s likely to strike a Pomeranian of any age. An increase in thirst is a major sign of kidney disease. Other indicators include: poor appetite, vomiting, diarrhoea, weakness, a dull coat, blood in his urine, a reduction or increase in urination, uncontrolled urine dribbling, urination at night more than usual, If you don’t have your pet treated quickly, his kidneys may fail, and waste products will then build up, smelling like ammonia. He can also suffer from mouth ulcers, reduction in muscle mass, severe loss of weight, anaemia, very high blood pressure, seizures and trouble breathing properly. 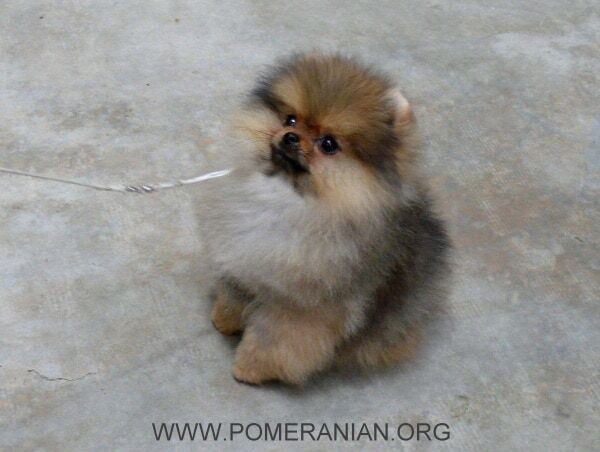 If your Pom is drinking excessively, he may have liver disease as this is one of the major signs. Other possible symptoms include: diarrhoea, vomiting, dizziness, confusion, blood in his urine, weakness, a yellowish tinge in his eyes, poor appetite or weakness. If he’s not treated, he can have extra fluid building up in his abdomen or seizures. If your Pom’s appetite drops because he’s sick, he may drink more water to compensate. However, many ailments can cause diarrhoea and/or vomiting which means he’s eliminating more water than he should and he’ll become dehydrated too fast. You need to encourage him to drink more water and adding a special supplement to his diet (e.g. Pedialyte) can help. Some dogs will make an effort to find more water to drink. 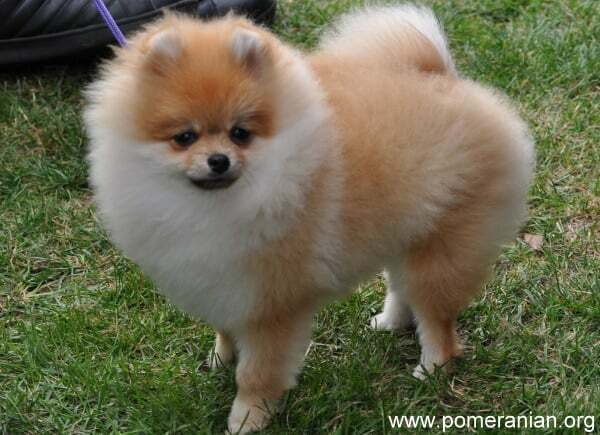 Your Pom may drink more water if he has certain types of cancer such as pancreatic and adrenal cancer. Excessively drinking of water is a main sign of Cushing’s disease. Dogs will also urinate more frequently and may have incontinence problems. He may wet his bed or urinate during the night. He may also have difficulty avoiding wetting himself through the day. 90% of dogs who contract Cushing’s disease end up looking like they have a pot belly. This is caused by body fat being redistributed and muscles in the abdomen breaking down due to fluctuations in hormones. If untreated, some fur may be lost, he may have skin infections and his skin may become a darker colour. If your Pom drinks from any water he can find, whether it’s the water you have for him, a dirty puddle or an old container, then he probably has a health problem. Excessive thirst can strike a dog of any age and shouldn’t be ignored. If your Pomeranian isn’t drinking enough water, praise him when he does drink from the water bowl you provide for him. If he doesn’t go to a bowl for water, put it near him, whether it’s in his bed or play pen area. Then he can easily have a drink. Some dogs dislike the taste of water. If your drinking water isn’t very good, consider using filters or purchase bottled water. If that doesn’t work, consider adding flavour to his water, by adding small part of a stock cube. Always have fresh, clean water available for your Pom. Is your Pom sufficiently hydrated? Here’s a trick that you can use to see if your Pom is drinking enough water. Gently lift the skin on the rear of the neck. If it falls fast and easily back into place, he drinks enough water. If not, it will fall slowly into a tent-like shape. If this trick doesn’t appeal, check his gums. If they’re moist and feel slick, he’s ok. If they feel sticky or dry, he needs more water. If you concerned a visit to your Veterinarian is recommended.